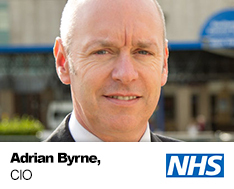 Adrian has over 15 years’ experience trying to build an Electronic Patient Record strategically and through evolution. The aim is to develop a single sign on to a common user experience with full decision support and data sharing across disparate so called ‘best of breed systems’. That will be a challenge for integration. Adrian is very interested in direct patient-to-secondary-care interaction via secure web and messaging systems. He has now moved into the world of MS HealthVault for this. He sees a federated identity for a patient as the future, as opposed to the many individual web sites that are currently out there. He believes we need the patient to have access to a set of data that they can choose to share with people and software applications, from many providers. HealthVault gives us this, but will there be other competitors?